When Instagram cleverly introduced their ‘Stories’ feature back in 2016, its success kicked off too. However, Snapchat, as the O.G. story platform, is estimated to make about $1.5 billion in ads this year. These are big numbers, but with marketers making the switch, Instagram Stories are predicted to overtake these staggering figures. It’s estimated that 2019 will see Instagram Story ads generate a whopping $2 billion in revenue. The shift in advertisement placement is a smart move for marketers. Since Facebook heavily focusses on the user experience, there are only so many advertisements that can be placed in Instagram and Facebook feeds. And due to the popularity of feed ads, the pricing structure is currently higher on Facebook than story advertisements. We see familiar trends happening over on Instagram too. Instead of choosing Instagram feed ads, story ads currently offer more affordable pricing options. Is your business currently running paid social media advertisements for yourself or your clients? If you’re active across both Facebook and Instagram, we recommend having a look at your story statistics. Is your audience using Instagram Stories? And if so, how can you optimise advertising for this platform? By offering targeted ads to an already interested audience on Instagram Stories, we see a great deal of potential through this medium. Shoppable posts on Instagram? It’s dangerously good, right? 130 million other people love to click on those shoppable goodies too. But we’ve seen big changes on the platform this week. U.S. users can now purchase directly from the app, without being redirected to an external website. 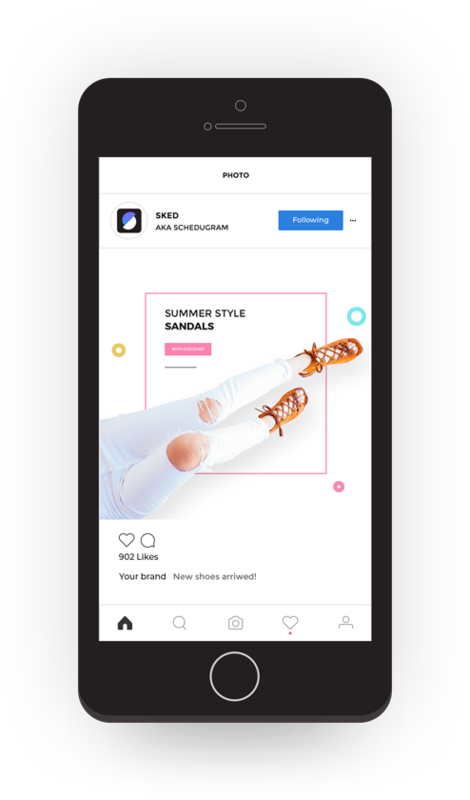 Instagram released a list of invite-only brands such as Zara, NYX Cosmetics, Nike, H&M and Burberry who are taking part in the beta test of the new feature. Once a product is clicked, product specifics, like colour and size can be chosen straight from Instagram when users select the ‘Checkout on Instagram’ option. Then simply type in an email address, postal address and payment details (such as a credit card or Paypal account) which can be stored for future Insta-buys. 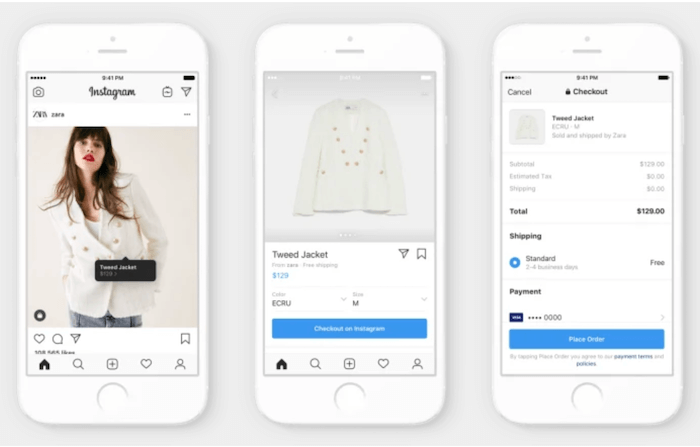 Adding multiple products to carts isn’t yet possible, but Instagram will be working to introduce this function in the future. We’re excited to see when this feature will roll out to the rest of the world. With a more streamlined social media sales process, we see ad targeting experiencing key benefits too. Based on the previous purchases of ideal customers, brands will most likely be able to predict the styles of future items consumers may choose to buy and target ads accordingly. Pinterest continues to move with the times, cut their losses and introduce new features to enhance the user experience. For businesses and brands using Pinterest as a marketing tool, the push for video could be knocking on our doors closer than we think. 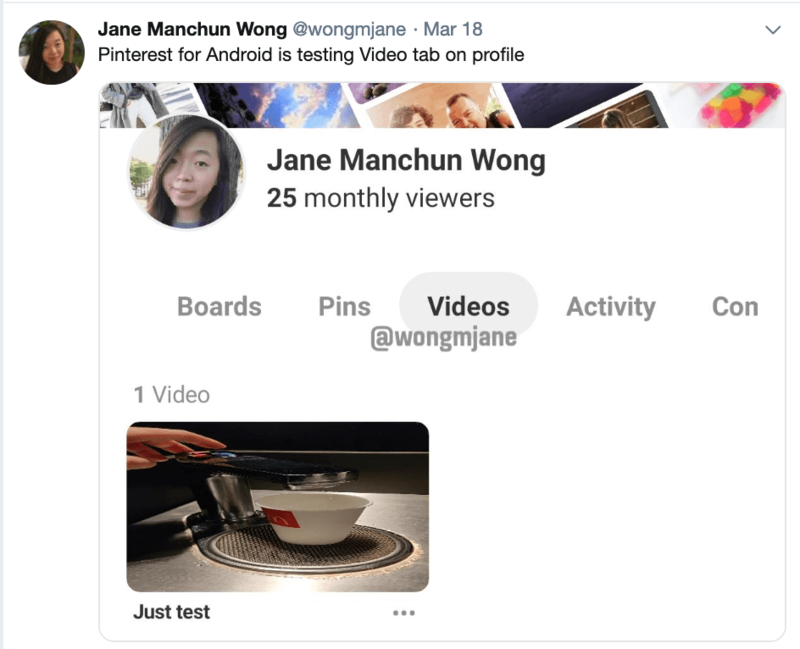 This week serial tech-reverse engineer Jane Manchun Wong shared that Pinterest for Android is testing a Video tab on profiles. These will add to the boards and pins lineups on user’s screens. Creative video pins look to be the way of the future on the platform. Since Facebook and Instagram have reaped the benefits of video content, Pinterest has cleverly waited to see if the hype will hold up, and it has. When Pinterest quietly released their ‘communities’ feature last year, being a member was strictly invite-only. Then, in October, they opened the door to a wider range of Pinterest users. 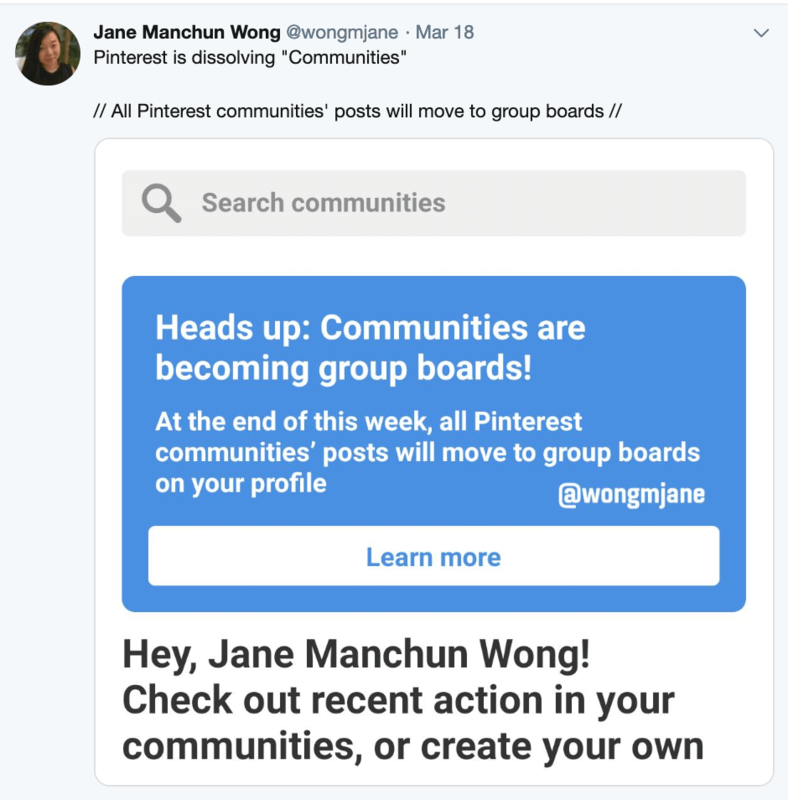 The idea for Pinterest communities was to bring people together to collaborate on topics and connect like-minded users. Jane Manchun Wong again leaked this new change which could mean a more connected platform is on its way. Enter: Pinterest groups. Pinterest Group Title Searchability – Who will be your target market for the group and what value can your business offer? 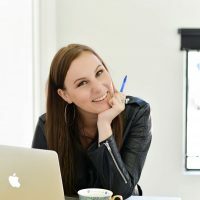 Pinterest Group Profile Picture – Will this be a business logo or something more personal and inviting? Content Types – What content types will you share to begin conversations and engagement? Will your business be using Pinterest groups as a way of connecting with your audience? 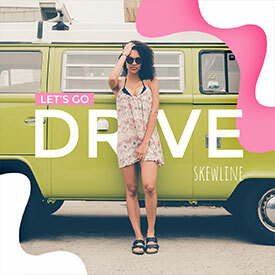 Here at Sked, we’ve been lucky enough to work with some incredible brands. This has included a wide range of successful social media managers. So, this week summarised interesting insights we’ve learned and brought you our top hashtag tips for social media managers. We get it, social media managers are busy, busy people. So staying up to date with the changing hashtag world isn’t always at the top of the list. That’s why we’ve created an easy to understand infographic, capturing all the top insights you need to know. Head over to our best Instagram hashtags tips for social media managers and double-check you’re using them in the best way possible. Random House Publishing Group and The Coffee Bean & Tea Leaf spilled their top Instagram strategy insights. As a taster to our ebook featuring 10 different digital strategists, you can check out their top tips here. Are you ready to carve out 5+ hours per week planning, scheduling and publishing social media content? Try Sked Social’s 7-day free trial and manage Instagram, Facebook and Twitter content all under the same roof. Invite users to collaborate, edit imagery, schedule stories, tag products, locations, people and more.